Court demands homes in Netiv Ha'avot be totally demolished despite only small parts of the homes being located on private Arab land. The Supreme Court on Sunday rejected the request of residents of the Netiv Ha'avot neighborhood of Gush Etzion to saw off parts of their homes instead of destroying them completely, as only a few meters of six of the houses have been determined to be located on privately owned land. The court also criticized the residents for submitting the petition to save their homes. The Supreme Court also ordered the demolition of a carpentry shop in Netiv Ha'avot. All buildings must be destroyed by March, 2018, the court ruled. Supreme Court President Miriam Naor criticized the petition filed by the residents. "The request before us is not a request for clarification, but a request to change the ruling. As stated above, the petitioners did not argue in the present case that there is justification for changing the ruling, but based their position on interpretation only. In examining the need, I will clarify that even if we see their request as a request for a change in the ruling, there is no room to do so." According to Naor, a ruling is not a "serialized story" and therefore "it is not possible to start the process from the beginning and to present a new front whenever a particular line of argument is rejected. In principle, the issuing of a judgement is the end of the litigation." Judge Naor noted that the proceedings on the homes in Netiv Ha'avot have been taking place for many years and that there is no dispute that the 17 houses were built illegally. In addition, some of the structures have been built illegally in recent years, including after the cessation of work and demolition orders were issued and after a judgment was issued in a previous petition that dealt with illegal construction in the outpost. The fact that some of these structures are "divided" - being partly built on private land and partially on state land - was factored into the court's original ruling, she added. "This is not new information that was unknown to the parties and to the court. In addition, as stated above, our conclusion in the judgment that the demolition orders should be ordered for the buildings, was based on a number of factors., including the importance of maintaining the planning and building laws and the fulfillment of the state's obligations to the court, and not only the fact that these are structures that deviate from the declared areas." 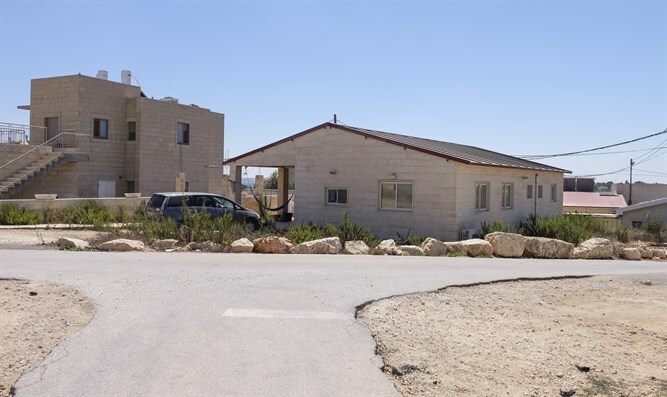 In addition, Naor argued that the partial demolition of six of the houses, as requested by the residents, will not open a horizon for their legalization. "The laws of planning and building are broader than the question of property, and therefore construction on state lands is a necessary but not sufficient condition for regulation." "In response to the petitioners' claims, the state's respondents refrained from declaring that it would be possible to arrange these structures after the destruction of the parts that deviate outside the state lands, but instead focused on legal arguments regarding the interpretation of the ruling. Therefore, it is doubtful whether these structures can be legalized retroactively." Naor emphasized that none of this makes it any easier for the residents who are to be thrown out of their homes, but that issue was taken into account in the court's initial ruling, in which it gave 18 months for the demolitions to take place in order to find suitable housing alternatives. Therefore, Naor concluded, "I do not believe that rejecting the request will cause injustice [to the residents]. The request before us is an additional attempt beyond what was described in the ruling in order to postpone [the demolitions]." The residents of Netiv Ha'avot reacted angrily to the court's decision. "The Supreme Court once again chose to ignore the residents and is unwilling to examine the reality on the ground, despite the absurdity and the indignities [inflicted on the residents], and once again has decided to show that it has the upper hand and that justice was not its guiding principle. It is forcing us into an uncompromising struggle." The residents added: "The verdict is pure evil. The Supreme Court continues to make political [rulings] and to discriminate against the Jewish population, but when it comes to the Arabs, time after time the court rules in their favor. We stand stunned by the helplessness of the politicians and their inability to control our beloved country."